Porcelain Tiles for Indoor Use, Outdoor Use or Both! Transform your living space with PrimaPorcelain! 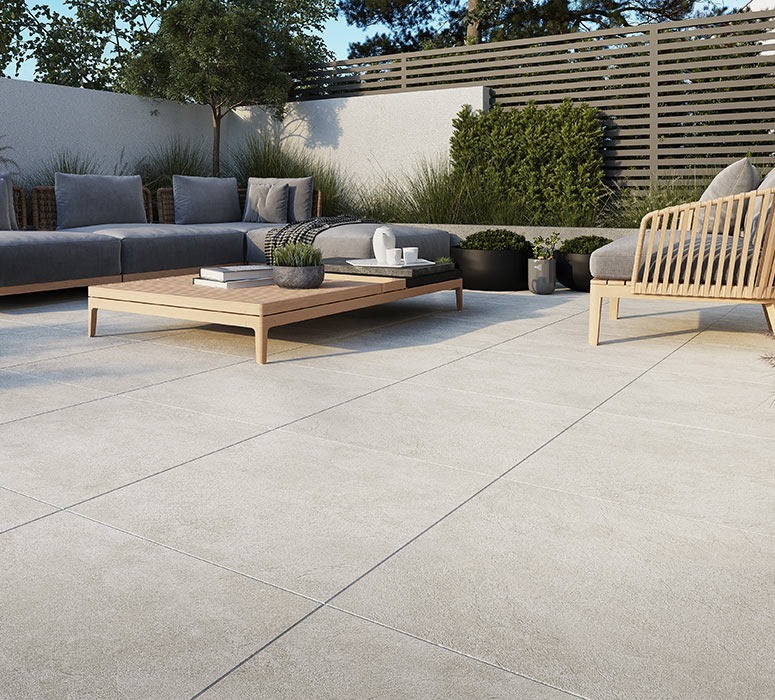 We sell a variety of attractive, high-quality indoor and outdoor porcelain tiles and porcelain paving slabs. Our stylish porcelain products look fantastic in any setting, and they’ll stay beautiful with practically zero maintenance. Porcelain is becoming an increasingly popular alternative to stone. Our porcelain paving has a very low porosity, which means no stains, no water damage, and no need for sealing. Unlike traditional stone pavers, the quality of our porcelain slabs does not diminish over time. Furthermore, porcelain tiles have a beautiful finish and come in a huge assortment of colours and styles. If you spend more than £750 on your PrimaPorcelain tiles, they’ll be delivered to your address free of charge (kerbside delivery). Please note that a signature will be required upon delivery. You will need 2 people present to unload your tiles. Porcelain Pavers Are Ideal for the British Climate. Why? Over Natural Stone, Granite or Limestone? What’s your style? Browse our product collections and order up to 3 free samples! A key advantage of porcelain paving is its ability to work both indoors and out. Our products can be used almost anywhere, from gardens and conservatories to kitchens, living rooms, and even commercial areas and public spaces. You can trust PrimaPorcelain to provide the perfect flooring solution for practically any space, indoors or out. PrimaPorcelain’s indoor/outdoor porcelain products can create a smooth, seamless transition between your home and garden, helping you to bring the outdoors in. Our outdoor tiles have a slightly rougher finish under foot for more slip resistant properties, even when wet. If you want to learn more about our versatile porcelain paving products, call 029 2080 3756 or email info@primaporcelain.co.uk today. You can also order a free sample! "I was looking for porcelain tiles for our new kitchen and came across PrimaPorcelain. Their sales staff were so helpful in explaining my options and supplying me with samples of the tiles I liked."